The Salish Sea Market is a wonderful art gallery in Bowser that showcases many of Vancouver Island's Artists. We are thrilled that they carry our boards. 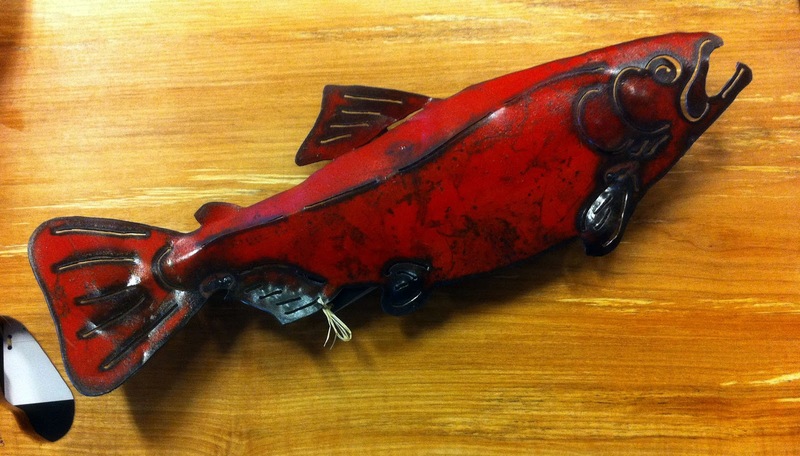 Kerry and Amanda Illerbrun - the husband and wife team of Kastawayz Art - create sculptures from recycled metals. I love their works of art, especially their Raven and Salmon sculptures. On our last visit to the Salish Sea Market I took a picture of one of their beautiful salmon plated on one of our boards. 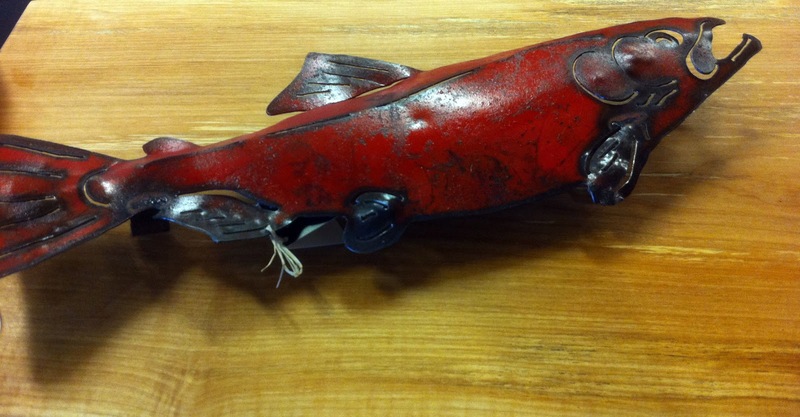 You can see more of their works of art at the Salish Sea Market or visit their website. Thanks Monique. I thought it looked kind of cute on my board too.